Yoruba sport presenters have made their marks in the history of local sport broadcasting in Nigeria and have definitely inspired in many, the love for round leather game, ring sport and other sport you could think of. Many often go around with their little transistor these days just to listen to the early morning sport programme presented by these top Yoruba sport presenters. This has been because some Yoruba sport presenters are good at what they do and they have stood out from others. You only need to be in some public places like market, shops or houses to know the time because people always look forward to the time of these programmes. Also, people have the stations as their favourite because of these sport presenters. However, let it not go unsaid that the list of best Yoruba Sport Presenters in Nigeria we have here was never based on favouritism and the list order does not neccessarily signify who is is the best among this top five sport presenters. If you have special interest in any of this five best Yoruba Sport presenters, you can vote him in the online poll going on. Having said that, here is the list of 5 Best Yoruba sport presenters in Nigeria 2018. Obadare Oladosu is another great analyst that presents well when it comes to Yoruba sport. He anchors his programme on a particular radio station in Ibadan but other times, he is invited by his colleagues for analysis. His sport program “Oba Sport” is one of the well-loved in Oyo State and it has become a household name that is associated with Yoruba sport presenters. Babatunde Saheed he is also known as Mr. Sport. He is no doubt the best in this business especially in Oyo State. 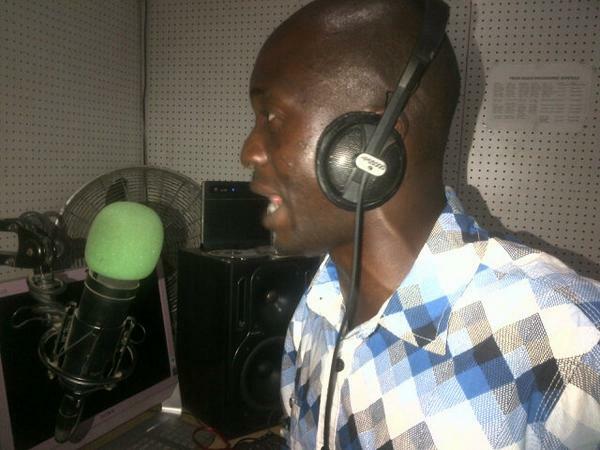 He has won awards upon awards as being a Yoruba sport presenter. It is obvious he is a hotcake because many employers want him to anchor their Yoruba sport events because he can pull his crowd. Shola Ayegbajeje goes by the media name "Aye gba sport". He has been recommended for so many awards and he has to scoop good ones. He is a man with many sauces. There is this way he relates when presenting the news that makes you think he crammed it beforehand. Kola Oladapo goes by the industry name Mr nice guy or Ola Jawonsi. He is very good at his business that for three months consecutively I never missed his programme. It was a Sunday morning programme which I always listen to all the way to church. He has this intro and beat that catches the attention of everyone. Not just that, he carries his audience along such that they can call at different times of the programme to participate by either contributing their opinions or views about a matter and they could win prizes as a result of their answers to questions. Sometimes, he broadcast English and even very fluently.